The draft law would give Britons visa-free travel in the bloc for up to 90 days after the UK leaves the European Union, even in the case of a no-deal Brexit. It was approved by 38 votes in favour and 8 votes against by the committee on Civil Liberties, Justice and Home Affairs (LIBE) on Wednesday after weeks of stalled negotiations and, controversially, after the removal on Monday of British MEP Claude Moraes as the rapporteur. It now includes a footnote which states: "Gibraltar is a colony of the British Crown. 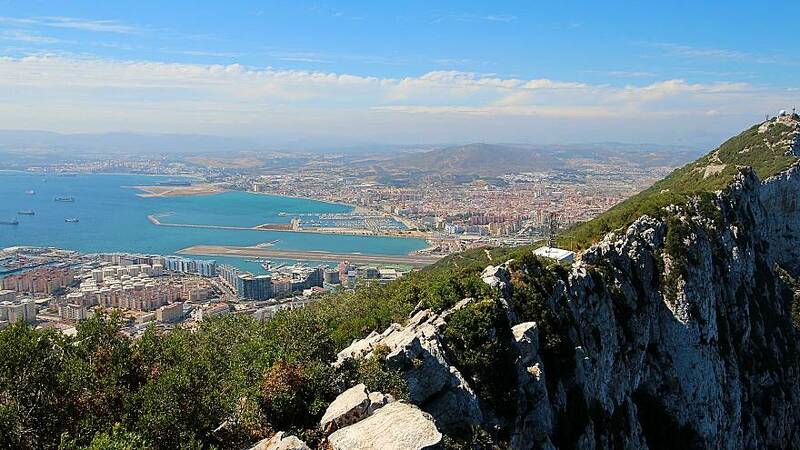 There is controversy between Spain and the United Kingdom concerning the sovereignty over Gibraltar, a territory for which a solution has to be reached in light of the relevant resolutions and decision of the General Assembly of the United Nations." Parliament will vote on the draft law on Thursday so that it can be effective by April 12 — the next Brexit deadline. Moraes said his removal was preceded by "a long campaign of bullying." "I was not prepared to see Spain hold this file hostage in the European Council with an addition that described Gibraltar legally as a colony. This was a misuse of our legislative duties," he also said. Spanish MEP, Esteban Gonzalez Pons, welcomed the agreement saying it shows that Spain "has obtained the fundamental support of the European institutions in the dispute over Gibraltar." The UK Foreign Office, however, firmly criticised the footnote in a statement to Euronews, saying that "Gibraltar is not a colony and it is completely inappropriate to describe in this way." "Gibraltar is a full part of the UK family and has a mature and modern constitutional relationship with the UK. This will not change due to our exit from the EU. All parties should respect the people of Gibraltar’s democratic wish to be British,” it went on. Spain has tried to recover the 6.8 square kilometres territory and insists on a bilateral agreement over sovereignty, which the UK rejects, arguing Gibraltarians must be included in any discussions. A 2002 referendum saw the Rock's inhabitants vote against a joint sovereignty proposal.